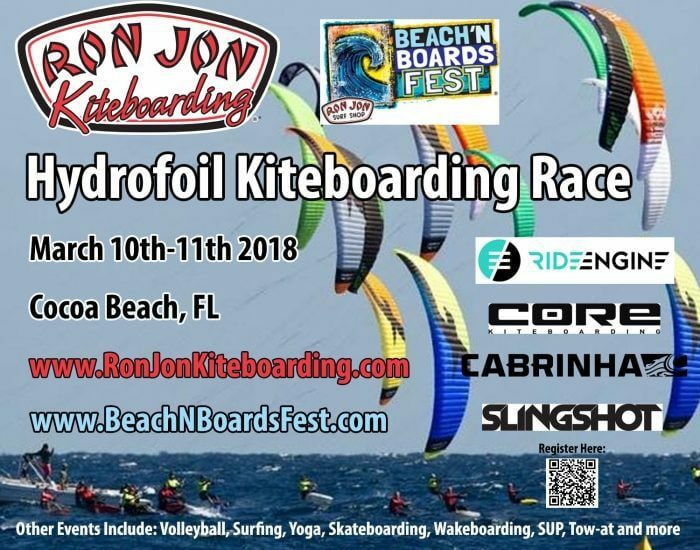 We are proud to announce the upcoming Beach N Boards Fest Hydrofoil Regatta! Sign up today for this fun action packed event taking place March 10th and 11th in Cocoa Beach. It will take place at Alan Shepard Park at the end of the 520 Causeway. Saturday night after party will be at Sandbar Sports Grill. Entry is $100 in advance to cover expenses. Skipper meetings will be at 9:30am sharp each day. We will have an area roped off for setup, launching and landing. There will be Sheriff Boat utilized for race committee. Arrive early for parking.